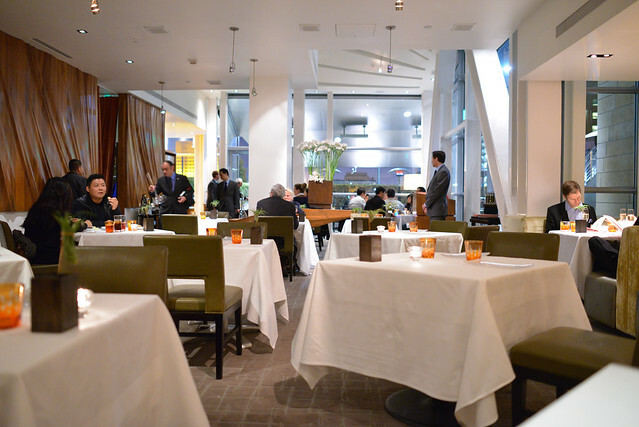 It’s been two years since my last visit to Scarpetta (it really doesn’t seem that long ago at all) and three years since my first opening night visit – still one of the more memorable dining experiences of my life. Scott Conant is still the face of the restaurant, but day-to-day oversight of the kitchen has transitioned to new executive chef Freddy Vargas as of May (who took over from the short tenure of Alex Stratta). 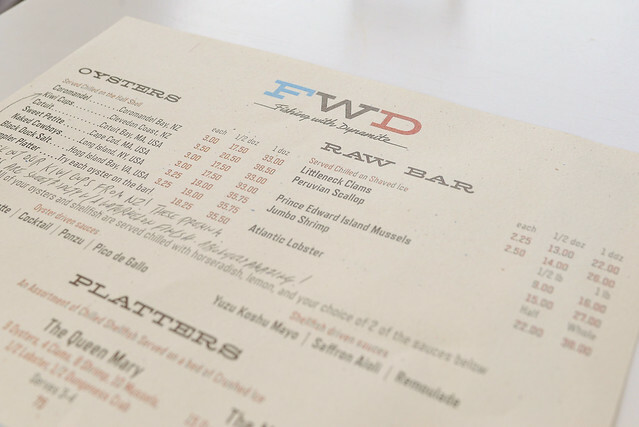 This past weekend, I was invited back into the restaurant to get a taste of what’s new. This would be my fourth visit overall. The dining room is huge but the best seats in the house are the five at the end of the kitchen. 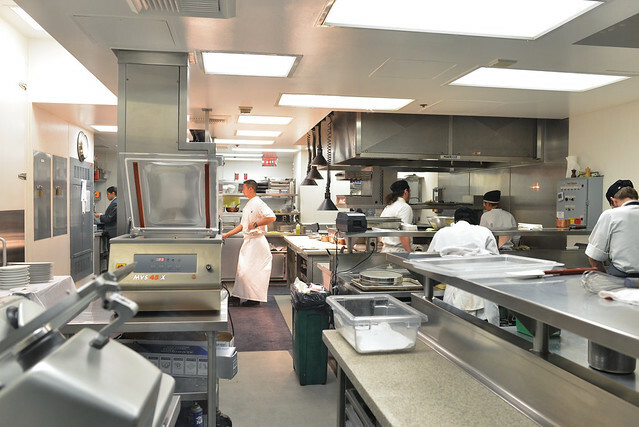 Dubbed the ‘Chef’s Counter,’ it offers a front row seat in the kitchen and interaction with the chefs. As one can assume, it’s a completely different type of experience. My understand is that this isn’t tasting menu-only; a la carte is possible…but some sort of tasting would seem to be the best way to get the full experience. 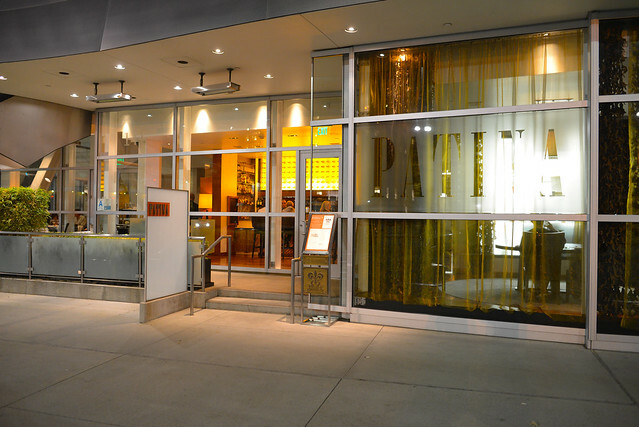 Patina’s been a fixture in the Los Angeles fine dining scene for decades, celebrating its 10-year anniversary at the Walt Disney Concert Hall this month. To celebrate, the restaurant offered a special menu of 10 courses for $10 each on October 10th. 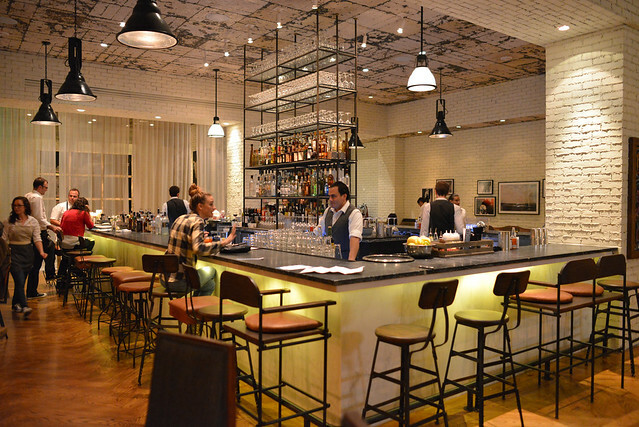 I first dined at Patina relatively “early-on” in 2006; this would be my third visit. 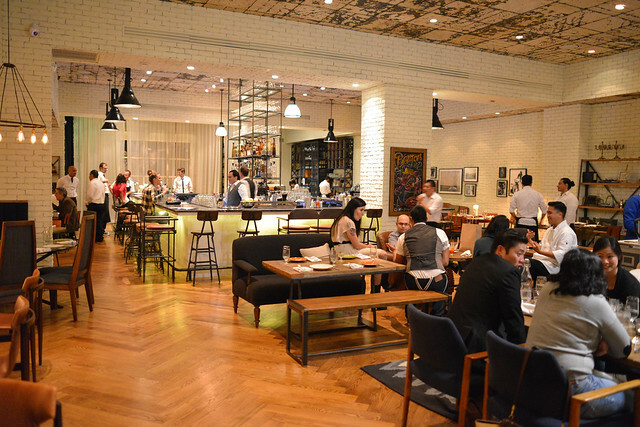 While I’ve found many of the Patina Group restaurants to be a little boring and overpriced for what they are, I’ve felt that the flagship Patina bucked that trend with its strong execution grounded in classical French and modern American cuisine. 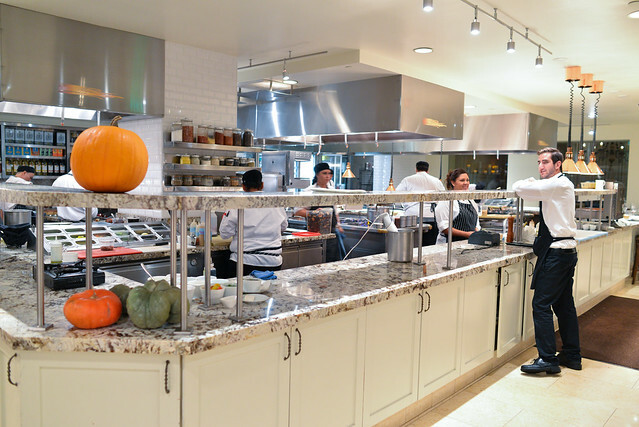 It’s been just over a year since my last visit; new Executive Chef Charles Olalia had just taken over the kitchen from the exiting Tony Esnault. At the time, the menu still had much of Esnault’s touches – this would be my first meal with Olalia fully at the helm crafting the menu. I haven’t been to Osteria Mozza in three years and it’s still one of LA’s most popular Italian restaurants. 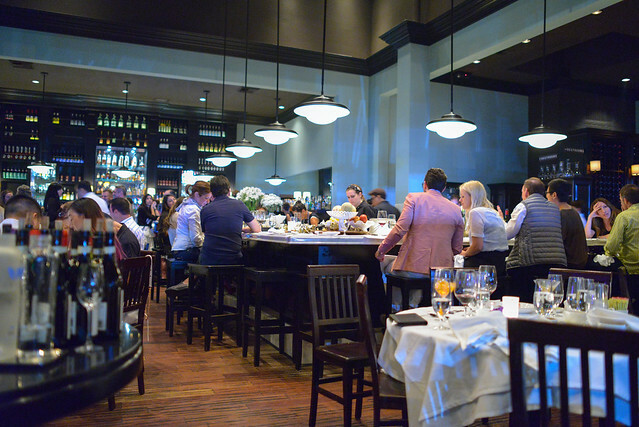 Since opening in 2006-7, the Mozza restaurants have been consistently popular. I’m amazed at what they’ve been able to do with the property at the corner of Melrose and Highland. 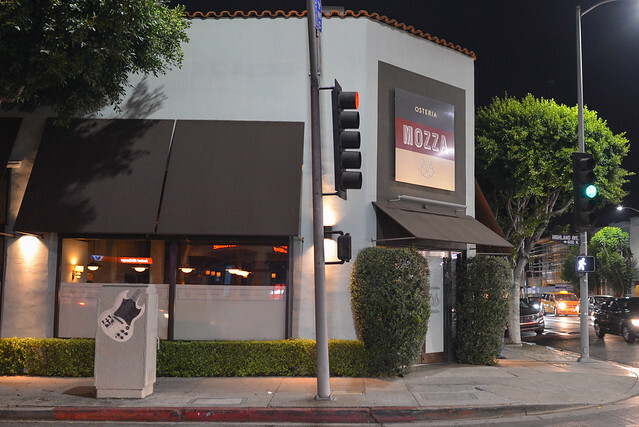 Starting with Pizzeria Mozza then Osteria Mozza, it expanded to include the Scuola di Pizza and Mozza 2 Go. 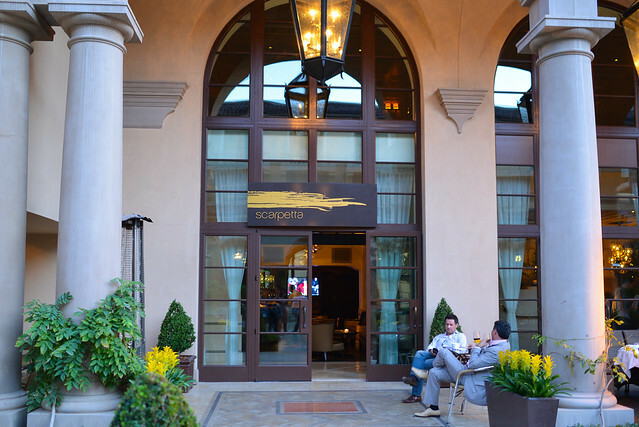 The Scuola has now turned into Chi Spacca, creating quite the power corner for the Bastianich/Batali/Silverton trio. 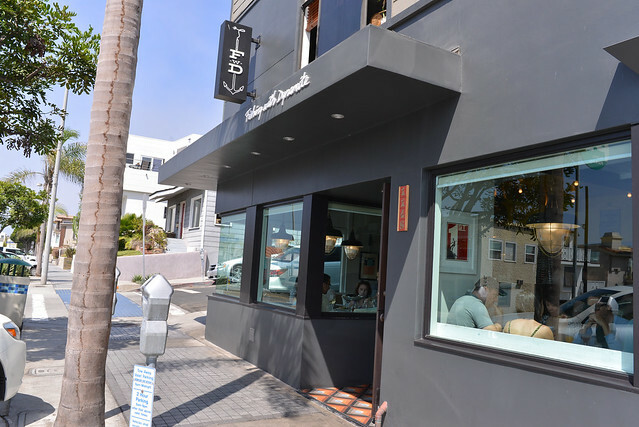 Rounding out the options within a block of this hot corner are Hatfield’s, Susan Feniger’s Street, and Trois Mec. Even though it’s been open for a while, scoring a prime table on a weekend evening still seems kind of tricky. 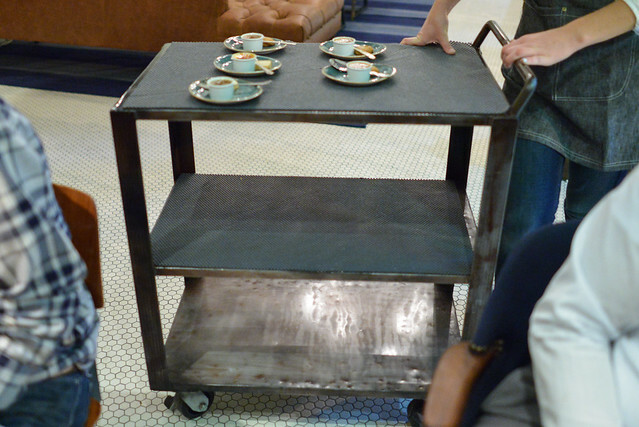 I stumbled upon a cancellation on OpenTable and snatched up a 2-top this past Saturday night. 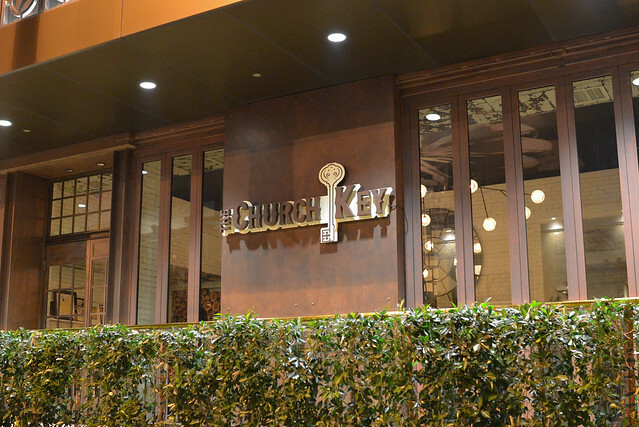 The menu consists of a variety of appetizer-like options from the small plates and mozzarella section, pasta, main dishes, and sides. A pasta tasting menu is available, but we opted to choose our own dishes this evening.